Doron Barda began his career in the music industry four years ago.During that time he released five successful singles and received hundreds of hours of airplay on radio stations, television talk shows and music videos.Following his great success, he performed all over the country along with his band.Defined as one of the most interesting sounds, refreshing promising genre.Rada, extensive musical family and began to make his way to Judaism a year ago, following the death of his grandfather.As a result, he decided to leave – all the great success behind him, and open a new page and sing sacred songs with listeners hearts content strengthen them by Israel Saba. Rada returned to the big stage, three months ago where he performed the new single “Ani Maamin”.The combination of his lyrics that speak to all of us, with the melody and the voice of Rada, made the song a hit. 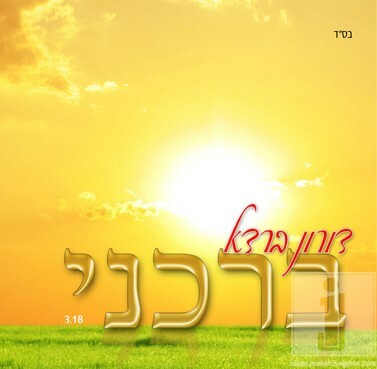 “Barcheni” – is the second single for debut album.A song full of praises to G-d – is on – all the good that does us.Here, too, co – operation successful musical Rada & Mary continued.When Mary was responsible for lyrics, Rada responsible for melody.Participants produced the best single musicians and musicians, including Avi Gutman, who pads, Avi Ifrah, Eric Cohen, Meir Mishali more.